5854 registered members can't be wrong. I like aircraft, cars, armor, ships and figures. I’m always interested in finding new techniques to try. 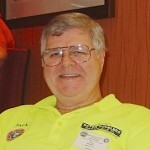 I am a long time IPMS member, currently belonging to four chapters here in Florida. I spent many years in Minnesota. I belonged to the IPMS chapter, Twin City Aero Historians, and I am now a life-time member. These days I rarely compete, but build mostly for my own enjoyment. I retired in 1995 from a career in advertising and marketing. I was born in Pasadena California, but grew up in Nebraska and Colorado. I spent my service time with the US Coast Guard in New England which included a trip to Greenland. I have been married to the same woman for 55 years and we raised two children. Our daughter was in the Navy where she met her husband who has since retired as a Master Chief. Both are living in Maryland and work for government contractors. Our son was also in the Navy and now works in computers and lives and works in the Fort Lauderdale area. We have 4 terrific grandkids. One granddaughter in a Captain in the Army, one grandson is going to school here in Fl, a granddaughter is going to school in Boston and the other granddaughter is attending Drexel in Philadelphia. I took a break from building air racers and put this together for a club contest. Basically done right out of the box with the exception of the plug wires, from the Fugimi kit. This was the way they did it back in the 50s. We do not get to see many customs on this site, so I thought I would break the ice. Could not resist joining in on the Hellcat photofest. 1/32 Revell Mirage, 3 SQN RAAF.